Sheila is currently working freelance and has many years experience as a project manager. For four years she worked in a Microsoft consultancy practice and gained a wide range of experiences in different businesses and technologies. These included: a music publisher, solicitors, accountants, charities, government and funding bodies and academic institutes. Since starting her career in ICT she has worked in a software development environment for a wide variety of applications and platforms. These include MS DOS, UNIX, Windows XP and the various other shades of Windows. Applications include databases, Web based solutions, communications and video on demand. Earlier she worked for four years on a large project for an applied research group at Oxford Brookes University. This EU funded project was a proof of concept experiment using asynchronous transfer mode communications and video technology. She effected a career change to ICT in 1987 and took her first degree in computing and accountancy. Her first job in computing was in 1990 and she has been very happy ever since in the computing industry. Prior to this Sheila’s career was no less varied and included bringing up a family and teaching in a horticulture and field studies centre. Sheila became an associate member of BCS in 1990 and a full member in 2002. 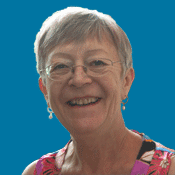 She joined the Oxfordshire Committee in 1995 and has thoroughly enjoyed the role. Apart from her share in Committee tasks she served for three years as the CPD Representative. For the bi-annual Oxfordshire schools’ web page competition, Sheila was Secretary for the 2001 competition, Chair for the 2003 competition, joint secretary for the 2005 competition, and is co-chair for the 2007 competition. She was elected a Fellow of BCS in 2006.